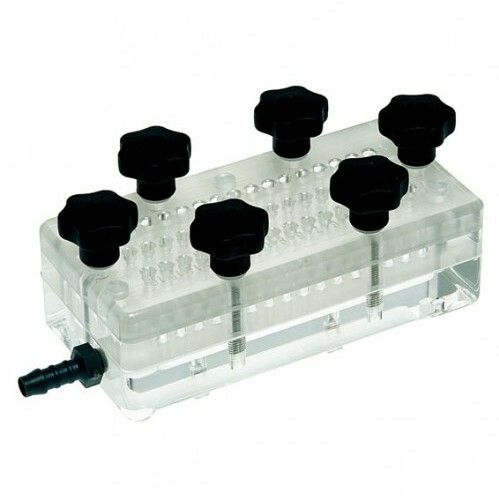 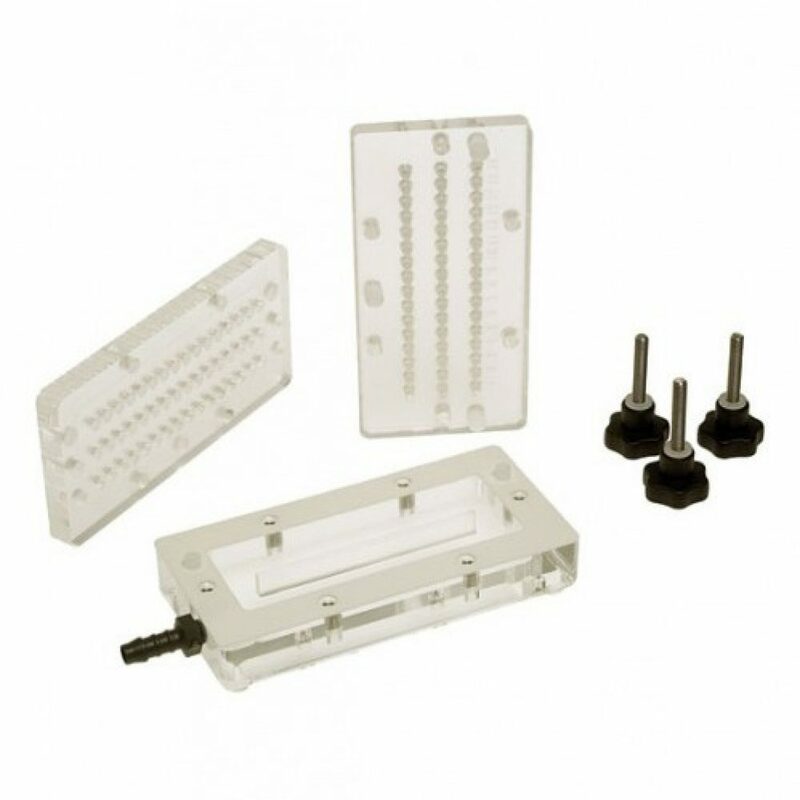 Dot Blot and Slot Blot microfiltration manifolds are designed for DNA and RNA filter blot hybridisations and immunological (Ag/Ab) screening applications. Machined from high density acrylic, their precision lapped mating surfaces and leak proof gasket ensures uniform filter contact, so preventing lateral transfer of samples – smudging – by ensuring that a complete vacuum is formed. Assembly of the manifolds is simply by aligning the mating surfaces and tightening the stainless steel thumb screws. 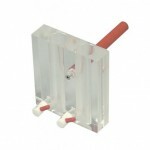 A permanent filter template is provided with each manifold to simplify the cutting of filters to the exact size. 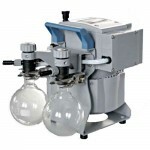 A vacuum of approximately 600mm Hg (0.8 Bar) is required during sample application. 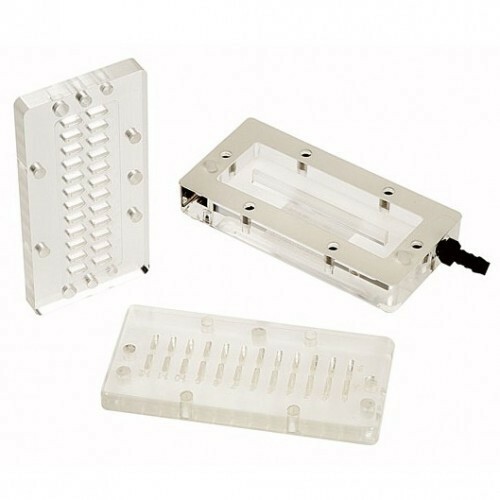 Four configurations are available for 24 & 48 for slots and 48 & 96 wells for dots in the configuration of standard microplates. 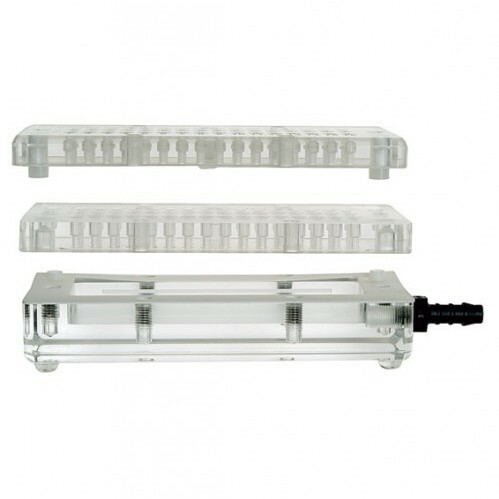 Each well is alpha-numerically grid referenced for easy identification.